When Belly Love Brewing in Purcellville, Va. needed some wine barrels to age a new farmhouse saison last year, owner Tolga Baki didn’t have to look far. His family owns Hillsborough Vineyards in the same town and was more than happy to lend out a few barrels. Baki used to work at the winery, overseeing the tasting room, handling marketing and other business operations. But in 2012, Baki could see the fast growth in craft brewing nationwide and was eager to take his homebrewing hobby to the next level. Two years later, he opened Belly Love in a small shopping center just six miles from his family vineyard about an hour's drive west of Washington, D.C.
Baki is quick to say that brewing beer has little in common with making wine. Yet, the businesses do have some similar traits beyond both serving alcohol. Baki notes both places are destinations for local residents and tourists looking for more than just a beverage, but to learn and be entertained about how it was made. “At the end of the day, we are both about serving customers," he said. Baki is one of a small number of people who have moved from the wine business into the fast growing craft brewing market in the past decade. Their stories about why they shifted careers differ but all think working with wine helped make them better brewery owners or salesmen. Bill Butcher spent 12 years selling Robert Mondavi wine in the mid-Atlantic states before opening Port City Brewing in Alexandria, Va. in 2011. It was the first production brewery to open in the Washington, D.C. area since Prohibition, and led a surge of more than three dozen breweries in the region since then. “The most important thing I learned from the wine business when it comes to craft beer is to the treat the beverage with the same respect as fine wine and to remember the importance of hospitality,” Butcher said. With that in mind, Port City quickly became known for its broad array of tasty beers including its top seller, the Opitmal Wit. From his time in the wine business, Butcher knew he needed to develop a wide range of beers to meet different tastes just as people shift from red wine to whites. Butcher says that wide range of beers - some simple and some complex - is what sets craft brewers apart from large legacy brewers. That broad flavor profile can be seen in Port City beers that include Monumental IPA to the dark Port City Porter to its holiday season Tidings. 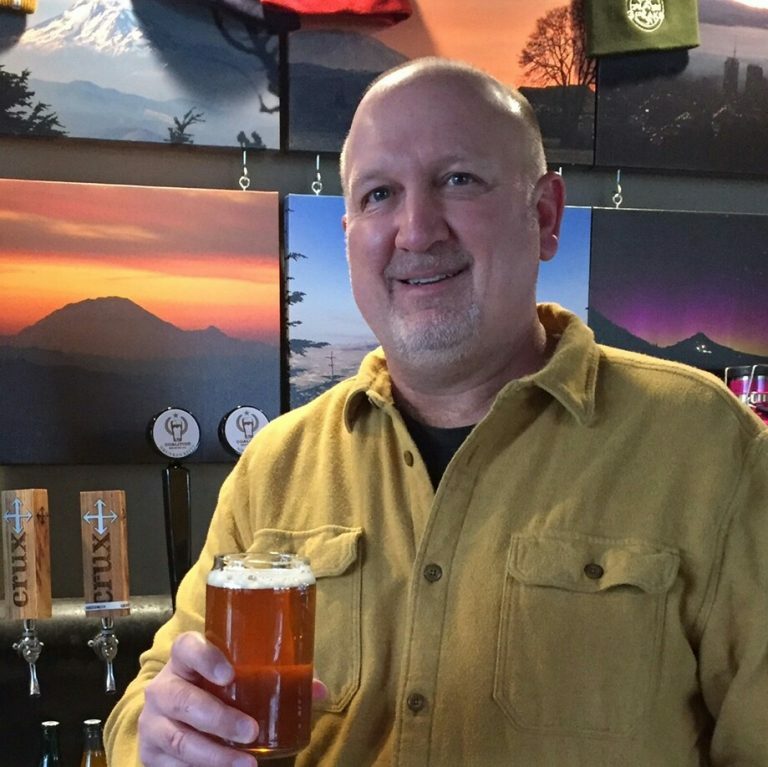 He knew building a tasting room would also be vital to success to teach people about the brewing process, ingredients and equipment involved. Port City was one of first D.C. area breweries to open with a dedicated (and air conditioned and heated) tasting room rather than have customers sample products while standing amid fermentation tanks and cement floors. One of Butcher’s colleagues at Robert Mondavi, Tom Black has also moved into craft beer. Black joined Crux Fermentation Project, a Bend, Oregon-based brewery in 2015, after working for several different wineries in the Northwest including Sutter Home. As director of sales at Crux, Black said the craft beer business today is much like wine in the early 1990s as it has tried to grow with newer brands and expand tastes and price points to attract wider demand. “It's really wine all over again,” he said. 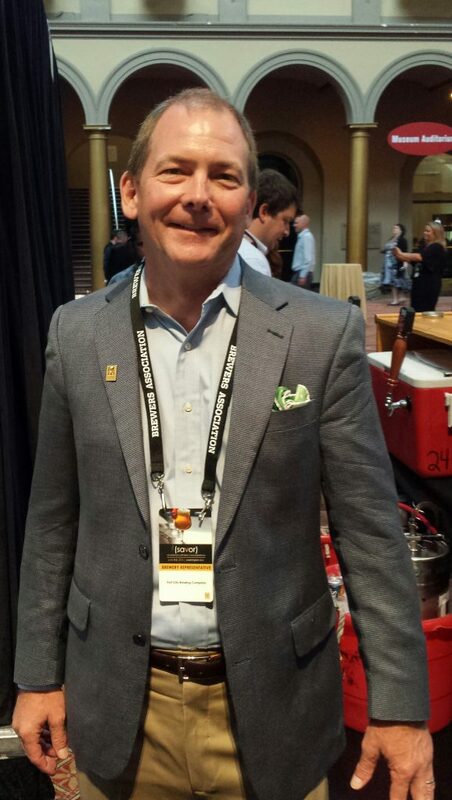 Working in marketing, Black says the craft beer business is much more friendly competition than he saw in wine. He sees that at beer festivals and other events when folks from competing breweries gather to enjoy a beer together. At the end of the day, though, how well beer sells depends on its taste, he said. Black, who is based in Portland, still calls on some of same restaurants where he used to sell wine. That includes Portland City Grill, one of most popular restaurants in the city. When he sat down with restaurant owners to try an assortment of beers they chose the Crux pilsner as one of the few beers they carry along with strong wine list. In Atlanta, Peter Kiley says he wishes he had a more romantic answer for how he came to craft beer after a decade making wine and working as a sommelier. Kiley was a wine maker at Rundog Vineyards in California then and Château Élan Winery and Resort in Georgia. Then he was a sommelier and private events manager at Vino Venue in Atlanta. He was looking for new challenge when he met the owners of then fledgling Monday Night Brewing. “I did not know anything about beer but I studied chemistry in school and figured if I could make wine I could make beer,” he said. He said he was impressed that the brewery was looking to make beer that would pair well with food. ”It’s been a whole new world,” he said of shifting from wine to beer. He said the quicker process means he can test out new recipes with beer and see results almost immediately. Kiley notes beer gives him more freedom to try new things like changing hops, varying the amount of grains or changing water temperature — which all an effect taste. Still, Kiley said he learned from years making wines that simpler is often better, and tries to apply that in beer making. Nerd Alert: a pseudo pilsner, that’s more like an American pale ale is an example. To get a clean flavor, the beer is fermented with ale yeast instead of lager yeast at low temps. With Monday Night opening a new facility dedicated to barrel aging beer, Kiley sees the worlds of wine and beer making colliding. He notes more beer is sold in 750 ml bottles that can easily be mistaken at gatherings. While breweries are often painted as more blue collar businesses than wineries, that’s slowly changing as breweries open state of the art tap rooms and restaurants increasingly look to pair beer with food. “It’s the 'winification' of beer,” Kiley said.